The American frontier is one of our most cherished and enduring national images. We think of the early pioneers who settled the wilderness as courageous, independent--and white. This version of history is simply wrong. Starting in our nation's earliest years, thousands of free African Americans were building hundreds of settlements in the Northwest Territory, a territory that banned slavery and gave equal voting rights to all men. This groundbreaking work of research reveals the lost history of the nation's first Great Migration. Though forgotten today, these pioneers were a matter of national importance at the time; their mere existence leading to fierce political movements and battles that tore families and communities apart long before the Civil War erupted. 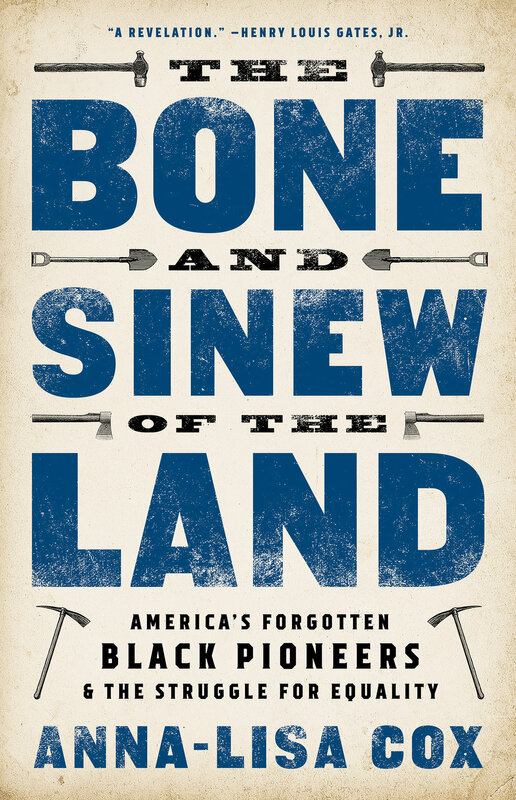 The Bone and Sinew of the Land is a story with its roots in the ideals of the American Revolution, a story of courageous pioneers transformed by the belief that all men are created equal, seeking a brighter future on the American frontier. Anna-Lisa Cox is the author of A Stronger Kinship: One Town's Extraordinary Story of Hope and Faith, and an award-winning historian. Currently a fellow at Harvard University's Hutchins Center for African and African American Research, she also recently helped create two historical exhibits based on her original research at the Smithsonian's National Museum of African American History and Culture, including one on black pioneers. She lives in Michigan.